One my kids’ absolute favorite days during the school year is Valentine’s Day. 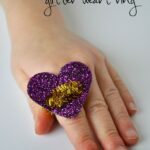 Creating a fun Valentine box, receiving cute Valentine’s and candy from classmates and having an awesome class party…There’s so much to love! 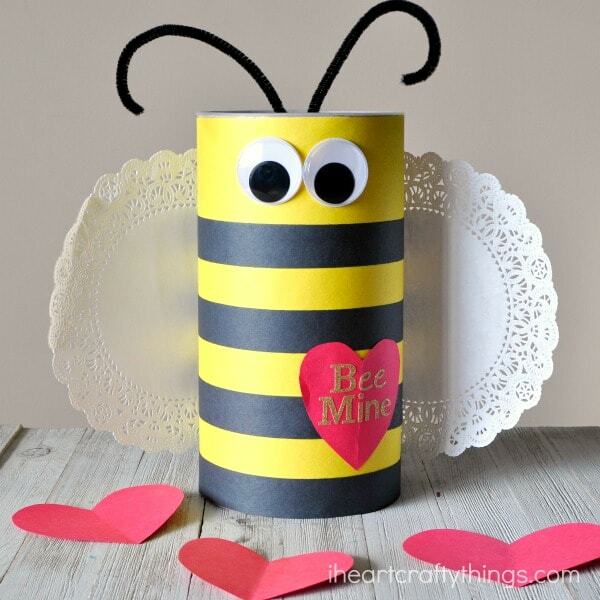 Today we are sharing how to make this darling Bee Valentine Box that will add a perfect touch to Valentine’s Day this year. 1. Begin by covering the outside of your oatmeal container with two sheets of yellow construction paper. 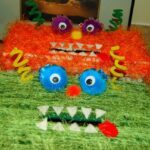 There will be two lines where the construction paper overlaps so make sure those lines are in the back of the oatmeal container. 2. Cut four one-inch strips out from a sheet of black construction paper, length-wise. 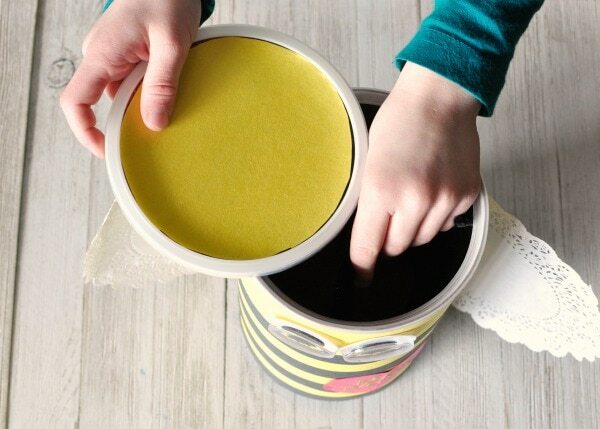 Glue them around the oatmeal container making a yellow and black striped bee pattern. 3. Glue two 8-inch doilies on the back of the oatmeal container for your bee wings. Then tape two black pipe cleaners on the inside of the container and bend the the ends of them for antennae. 4. Glue your googly eyes onto your bee. 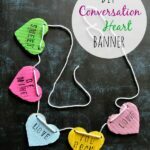 Cut out a red heart from your construction paper. 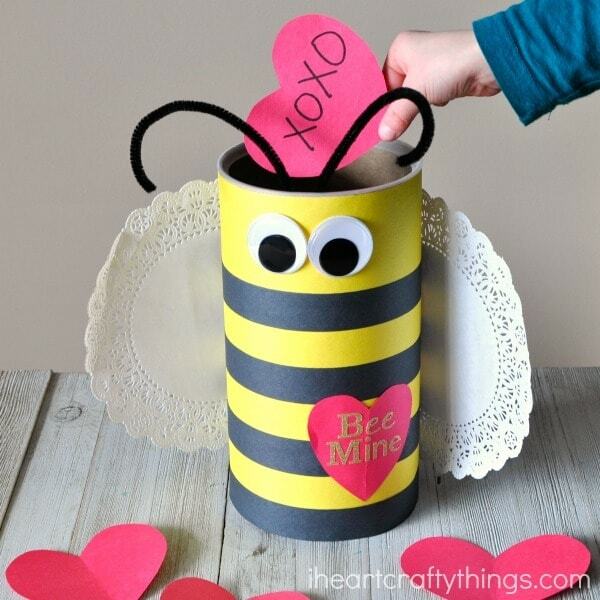 Use alphabet stickers (or a marker) to write out “Bee Mine” on your DIY Valentine box. 5. Finish by cutting out a yellow circle and glue it onto the oatmeal container lid. 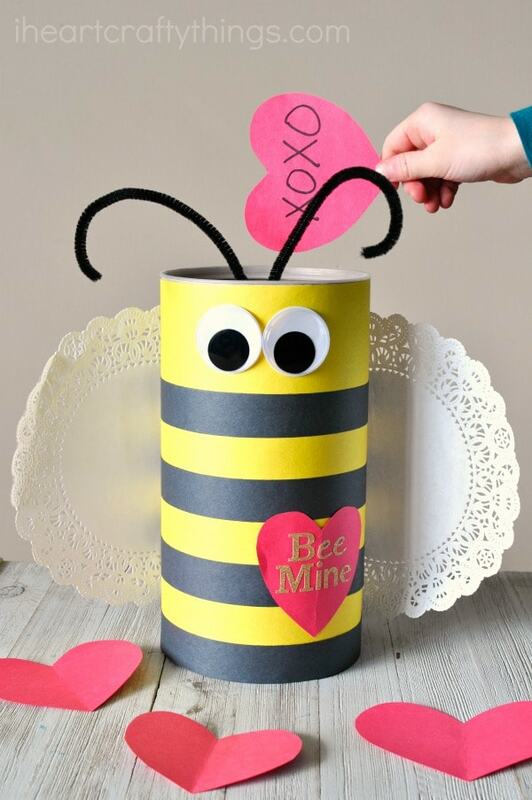 On Valentine’s Day your child can fold the antennae down inside the oatmeal container and place the lid on the bee Valentine box. When it’s time to hand out Valentine’s unfold the antennae from the container. Then at the end of the day fold them back down inside the bee and replace the lid to bring your Valentine’s Day goodies home safe and sound.